The band was born in 2005 from the meeting between Itea Benedicto (vocals and composition) and Jesús Díez (guitars and composition) in Albacete, Spain. 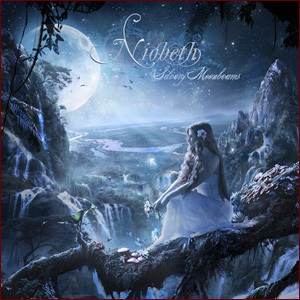 Niobeth´s characteristic style put together powerful riffs and drums with an important melodic charge, great orchestration and lyrical voice, getting influences from several Metal genres as well as from Classical Music and, sometimes, from Folk. In their songs it´s usual to find passages of high elegance and with a lot of arrangements, sometimes with some theatricality. In 2006 they recorded their first studio demo, under the name “Infinite Ocean Of Stars”, which includes 6 tracks. In the months after the demo was completed, some changes in the formation happen, joining the band Santi Tejedor (keyboard and violin) and Alberto Trigueros (drums). From that moment on, the band takes part on several festivals and begins to give concerts in several towns of Spain. “The perfect union between metal and classical music. The elegance and pulchritude of classical music hold hands with the strengh, heaviness and power of heavy metal inside of baroque and progressive structures that invite to discover new corners in every listen”. Among the last concerts of the band there are the album presentation tour (The Shining Tour), which carried them to the best venues of Spain, Viña Rock festival 2009 (with an attendance of more than 50.000 people), Leyendas del Rock festival, the concert at the prestigious Circus Theater accompanied by the choir “Orfeón de la Mancha” and the Spanish tour with the norweigan band Sirenia in September of 2009. After the release of the Dreaming EP, which benefits were donated to the Red Cross in help of Haiti victims of the 2010 Earthquake, the band focused completely on the recording of the new material. Javi Palacios (bass) and Alberto “AT” Izquierdo (drums) join the band and the sound becomes even stronger and more solid. The new album, Silvery Moonbeams, is recorded in Italy, mixed in Spain and mastered in Finland by Mika Jussila at Finnvox Studios and is released in Europe in September of 2011 under Aural Music / Dreamcell11 / Wormholedeath. It composed of 12 tracks including one song in Spanish and one beyond the 15 minutes of length, as well as a classical music cover for “Polovtsian Dances” from Prince Igor by A. Borodin and one song with supporting male vocals. The new album means an important step in a musical and conceptual level.